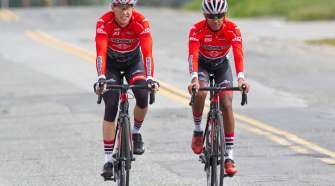 Another Record Falls at CA CA/NV State TTT Championships - SoCalCycling.com - Southern California, Cycling, Cycling News, Amgen Tour of California, Bicycle Racing, Fun Rides, Cycling Event Schedules, Mountain Biking, Cyclocross, Cycling Photos, Cycling Videos, Interviews, Product Reviews. Blame it on global warming. Or some sort of shift in the moon’s gravitation. Heck, extensive nuclear testing was performed only 300 miles from here. Whatever the reason, something has changed at the venerable time trial course at Lake Los Angeles. It appears to be the same old 23.5-mile layout: Six miles straight east from the start at Vista San Gabriel Elementary school on Avenue O; 2.75 miles south on 240th; six miles west on Palmdale; 2.75 miles north on 180th; then another six-mile swing east again on O to the finish. One big rectangle in the western Mojave Desert (with the most unimaginative street names ever). Mostly flat, with a short uphill kick on the western leg. The wind is almost always the same: from the south-southwest. Over the years the pavement crumbles and gets fixed and crumbles again. But something is different this year. For the second consecutive California/Nevada SCNCA State Championships weekend, the course record has been broken. Seven days ago it was the Individual Time Trial mark. 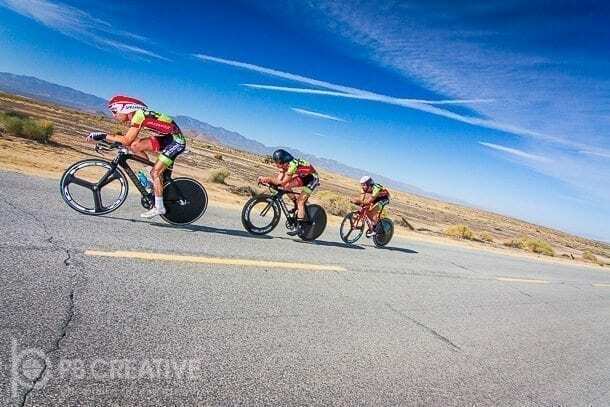 This go-round the history book for the Team Time Trial has been rewritten. Hmmmm, haven’t there been quite a few UFO sightings around these parts? 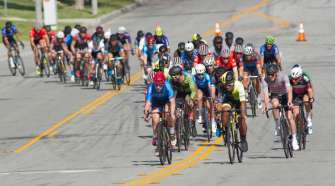 A total of 53 two- and four-rider teams took part in this 2013 Memorial Day holiday sufferfest, and by lunchtime it was the young Get Crackin’ team performing a metaphorical group hug. Conner McCutcheon, Jos LeRoux, Cory Greenburg and Tyler Schwartz stopped the clock at 44:20.6, busting the standing record — set in 2008 — by four seconds. Greenburg helped give the squad a strong start but then fell back, leaving the remaining three to bring home the gold. Schwartz acted as spokesperson and said, “We knew we had to keep it together the rest of the way [the time is based on the top three]. The strategy was to take one-minute pulls or whatever we could manage, and to just keep the pace as high as possible. The wind on the back side was tough, but we knew we were moving along pretty well. 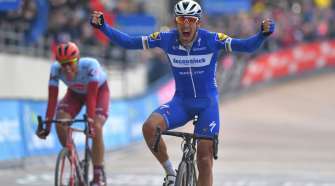 We had no idea it was a new course record, but I had a good feeling we were going to win.” The team mentioned Specialized, HED, SRAM, Capo and Oakley as playing a part in this victory. Get Crackin’ is a pistachio company. The quickest two-person team was Justin Schniderman and Kenneth Korbel (Serious Cycling), with a 47:16.45. That time was only three seconds off the course record. Among the women, the top four-person time was 53:58.56 from Canter, Baran, Giardina and Asaro (Drafting Tri Divas). Clemence/Hunter (San Juan VW SoCal) was the fastest duo — and female team in general — at 52:03.68.